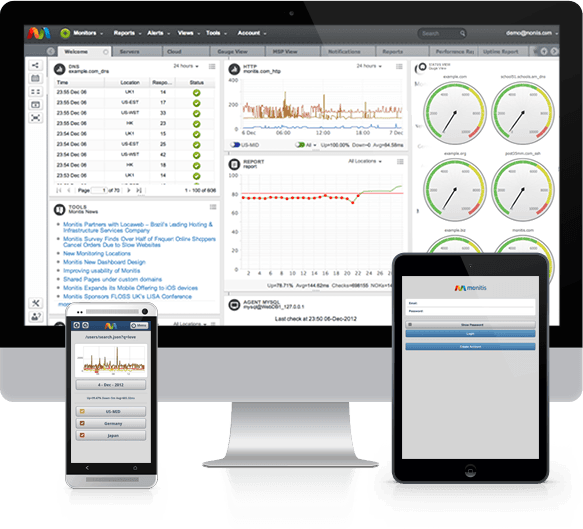 This post is brought to you by Monitis, the quickest way to Monitor and manage your websites, servers, networks, cloud systems & applications for performance and reliability. By Matthew Hussey / The Next Web. For most of us, when we think about website monitoring we think about the basics: how many people are visiting our site, social network activity, how many customers are buying our products and so on. While this basic information is important, it is just the tip of the iceberg if you want to get the most out of your website, have satisfied customers and truly optimize your business’ financial performance. Research shows that consumers expect a website to load in three seconds or less. 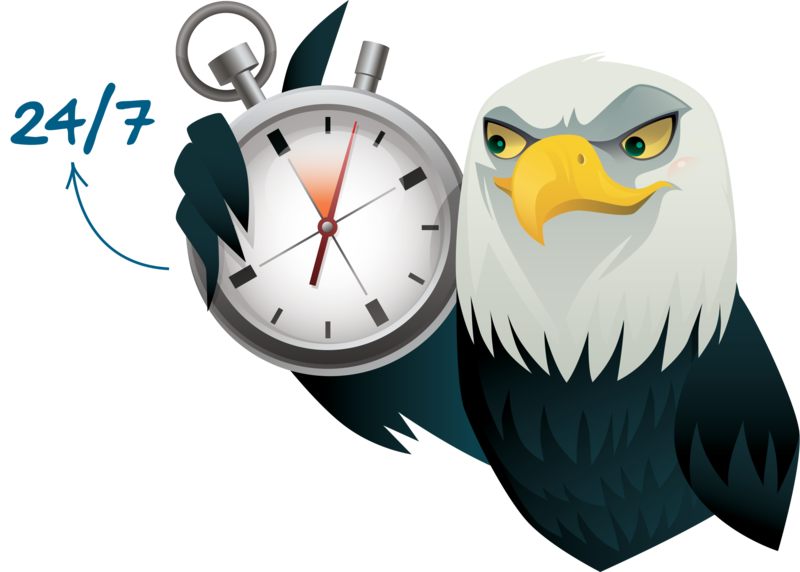 Even one second slower and you will see a loss of seven percent of conversions and revenues. Below we will lay out a fuller list of what you need to be constantly monitoring your website for and its criticality. Paying attention to these areas will surely help you supercharge your business! Is your website up and running? The impact of your site being down or performing slowly is huge: your bottom line will take a hit as your customers flee to your competitors. Equally important is that your monitoring system should be testing your websites from the markets and locations where your customers are coming from. With Monitis uptime monitoring your site can be tested at one-minute intervals from over 35 locations around the globe, in multiple protocols and even perform content checks. And the moment something isn’t working the way it should you get an instant failure alert so you can see the problem fast and fix it fast. Time counts! In fact, it would cost Amazon $1.6 billion in sales annually if its site launched in 4 instead of 3 seconds. So make sure every element of your website is monitored and the load time of each part is optimized. With Monitis, they employ tools such as Full Page Load which measures each individual part of your website and how long it takes to load across a whole host of different browsers. It even measures how quickly your applications, cloud and hosted services are responding with Uptime Monitoring, so poor performance has nowhere to hide. Do you know how much traffic your website can handle? You are doing everything possible to attract more customers to your website. Finally they arrive and your worst nightmare happens. Your website crashes! This is why it’s so important to load test your website in advance, especially before the holiday rush, marketing campaigns and seasonal fluctuations. Your monitoring system has to be able to simulate real user traffic so that it can stress your website and determine the amount of traffic you can handle and show you the points at which your website user experience will degrade and damage your sales and brand. With Monitis Load tester you will know exactly what traffic loads you can handle and what you need to do. Are all your sites transactions going through and fast? So your sales are ticking along quite nicely, but then all of a sudden, they drop off a financial cliff. What happened? You check your servers, your home page, and even go through the transactions and everything seems fine? What gives? Chances are one of the steps in your transaction process has become faulty. Just figuring out what’s gone wrong can take days or weeks; all the while your business is now making a grand total of zero dollars in the process. Monitis’ Transaction Monitoring tool will help you simulate all the critical transaction flows on your website, whether it’s a checkout process, registration form, download, etc and it will instantly pinpoint problems and send you an alert via SMS or email. What are your website visitors experiencing? The actual experience your users have when they visit your site is virtually impossible for you to simulate, yet it is super important and can be elusive for you to determine. With Monitis Real User monitoring you get an opportunity to look through your visitors eyes. You will have a wealth of valuable information right before you on your screen, such as: total page views and load times, top pages visited and their load times, users’ browser and platform performance, geographic breakdown and more. User experience can differ greatly in all of these areas but with the information Monitis collects and displays to you it will be easy to see where your website performance is outstanding and where it might need to be optimized. While the value of this is easily seen, imagine the power you will have when you combine this with the information from the rest of your monitors. You will have every tool you need to manage your websites performance at the highest levels and respond quickly if there is a problem. So what is the bottom line of all this monitoring? Having the ability to monitor your website 24-hours a day, 7 days a week is vital in today’s digital commerce world. Today, every business should be able to analyze, interpret and act on any anomaly, be it good or bad, in real-time, with a minimum of fuss. The brick and mortar commerce of the past is being eroded by the digital ecommerce world of today. Your company website is the image you put out there for your visitors to see and if they have a pleasant experience your ability to close the deal is greatly enhanced. If your website visitors can shop through your site and complete their transactions quick and with confidence then the bottom line: your bottom line just got better. With services like Monitis, that reality is only a click away.